Artists have long been captivated by flowers. Colour, black, white, abstract, still lives, nature mort, part of a landscape, interiors, large, small; flowers are irresistible. An inexhaustible topic. Georgia O’Keefe painted them graphically. 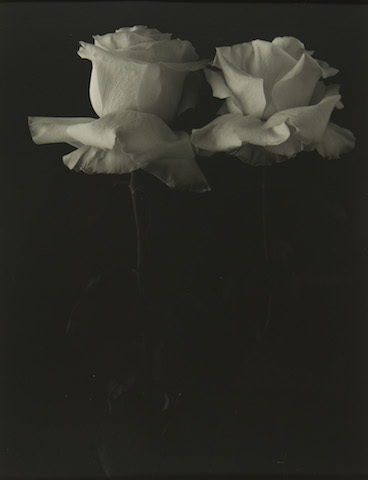 Robert Mapplethorpe was consumed by the beauty of them. As is Bruce Rae. HOT’s Lauris Morgan-Griffiths went to follow Rae’s recent scent. No-one takes photographs quite like Rae. He has his own signature. Whether he has a favourite flower or not I don’t know, but he certainly photographs each one lovingly. And so tenderly. Poppies look like they are made of tissue paper. Roses’ petals curl, the outer petals protecting the beauty of the flower within. Gladioli that normally look so erect and almost comical – or maybe they were just made funny by Dame Edna Everage’s antics – look through Rae’s eyes delicate, calm and graceful. A tulip is beginning to fade, one petal has slumped, leaving its stigma and pistils exposed. It shows the wonder of life’s cycle; beautiful even in its final phase as it wilts and dies – leaving its seed to rise again in the future. Most of the images are of single flowers, though there is one of an amaryllis – phallic, stretching upwards – next to a spiky cactus, intimidating as it encroaches on the cactus’ territory. It is not surprising to learn that Bruce Rae regularly meditates. He told me once that when he goes up to visit the Rothko Room at Tate Modern he meditates before he goes in, then sits quietly and looks and looks at one painting, consuming it and being consumed by it. That is enough. Rae, a technical wizard with light, photographs quite dark so you have to peer closely to see the flower’s texture, its fine lines, its beauty. And then, as if the sun has come out, light tenderly brushes the edge of a leaf, a petal. In the Silver Surfaces exhibition there is a TS Elliot poem which seems to poignantly and succinctly capture Bruce’s approach – his subject matter, his meditative approach, the meditative response and his technique. Alongside the exquisite flowers there is a contrasting body of work, portraits, buildings, grey and white rather than black on black. 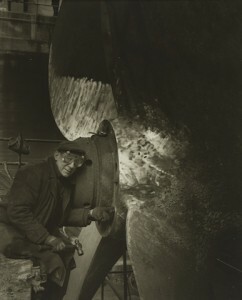 In 1983 Rae was commissioned by Side Gallery on Tyneside to document the shipbuilding industry. He photographed Neptune, Smiths Dock, Swan Hunters and Redhead’s; huge great building structures, vast boats that were launched to cross the world. 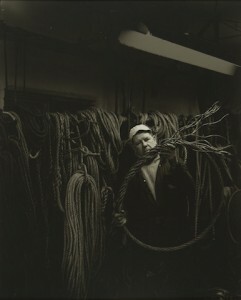 And he captured the trades, dignified portraits of men doing decent, respected work. Welders, and painters, caulkers and apprentices. This was a time in transition, the people and buildings of the shipbuilding industry surviving but threatened. When Rae photographed them it was already in its death throes, in the process of closure. Photographs may be a frozen moment in time, and so they are, yet each one carries its own powerful story. And so it is of these proud men that Rae has named and documented against the backdrop of these internationally known shipbuilders. Now no more. A melancholic end to a proud industry. Where are those proud men now? Bruce Rae studied for an MA at the Royal College of Art in the 1970s, then taught photography at the London College of Printing and the University of East London. 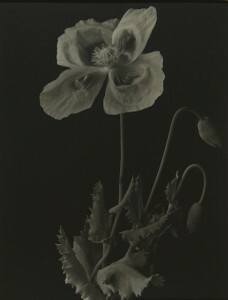 He took editorial portraits for newspapers until turning to his personal work of flower portraits. His work has been exhibited all over the world and his prints are held in collections ranging from The Victoria and Albert Museum in London to the Bibliothèque Nationale in Paris. Some images of the shipbuilding project are at Lucy Bell Gallery. However, the entire project can be seen at Side Gallery in Newcastle. Silvered Surfaces is at Lucy Bell Gallery, 46 Norman Road, TN38 0EJ, until 26 September. Gallery open Tuesday-Saturday, 11am-4pm. Previous article on Bruce Rae, and another.